This section covers the steel connections design principles behind our platform. We only support Eurocode 3 design. 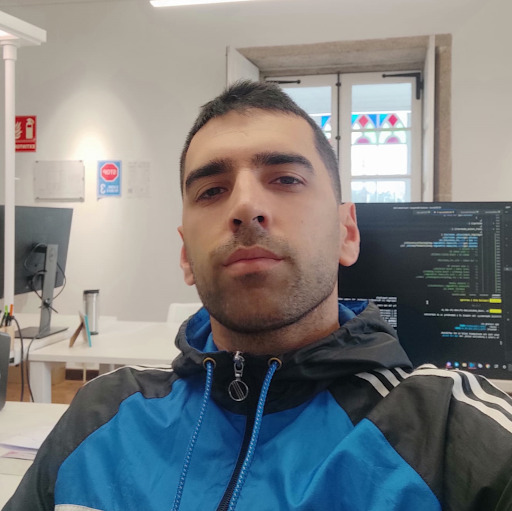 When solving a connection, each part of the connection has its own parameters stored as a Python object, and this object is responsible of checking itself. This means that we can have a very controlled and reliable code. Numbers are stored as Python Decimals and every magnitude is unit awareness. This approach gives us unit consistency through the platform. 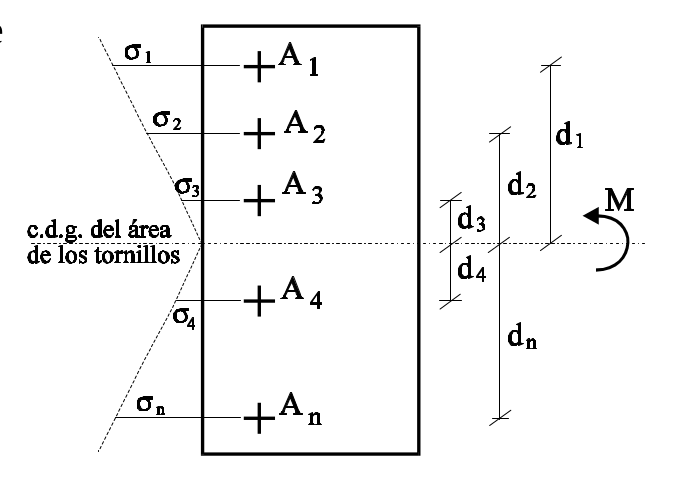 Structural analysis models usually have a global coordinate system (X-Y-Z) in addition to a local axes system (1-2-3) for each of the frame elements in the model. Connection design takes forces from frame local axes. Our coordinate system approach is based on frame coordinate system on SAP 2000 / Etabs. It is a standard in structural analysis software. See SAP2000 reference docs. In a SAP2000 frame, there are three local axis (1-2-3). It is a right handed cartesian system. 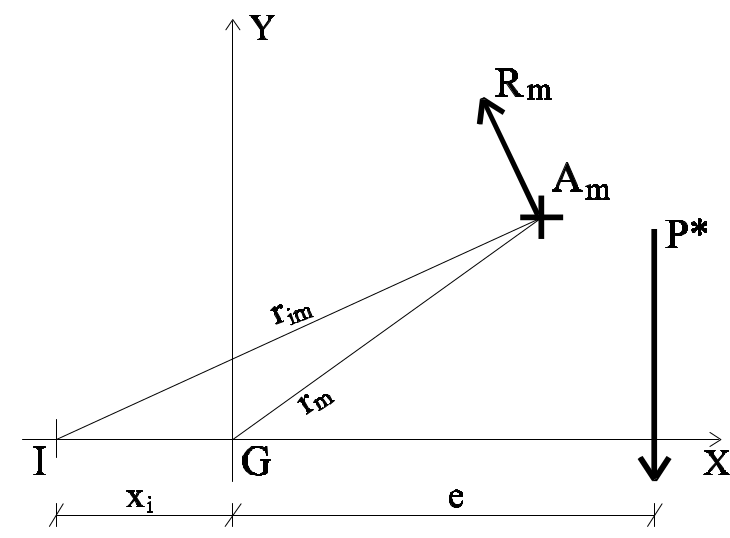 The first axis is directed along the length of the element at its centroid, and the second and third axis are aligned with the strong and weak axis of the frame section. In beams, SAP2000 assigns 2 to +Z and 3 to the horizontal. In columns, 2 is aligned with X and 3 with Y. This means that we also use those local axes for forces: P,V2,V3,M2,M3,T. You can dump forces from your arriving beam/bracing from the analysis model to the braced app. With Eurocode enginesheets, we use EC3 notations for distances between bolt rows and columns. Usually known as p1, p2, e1 and e2, being 1 the direction of load, and 2 the traversal. This approach differs from the SAP2000 numbered axis. Our engine tries to align axis 2 with e2. Then, e1 can be switched between P and V3. But don't worry about this, you will have a dynamic drawing showing parts and vectors. Similar approach applies to weldings. The system always tries to align V3 with the longitudinal direction of the main welding and V2 to the transversal direction of the welding. 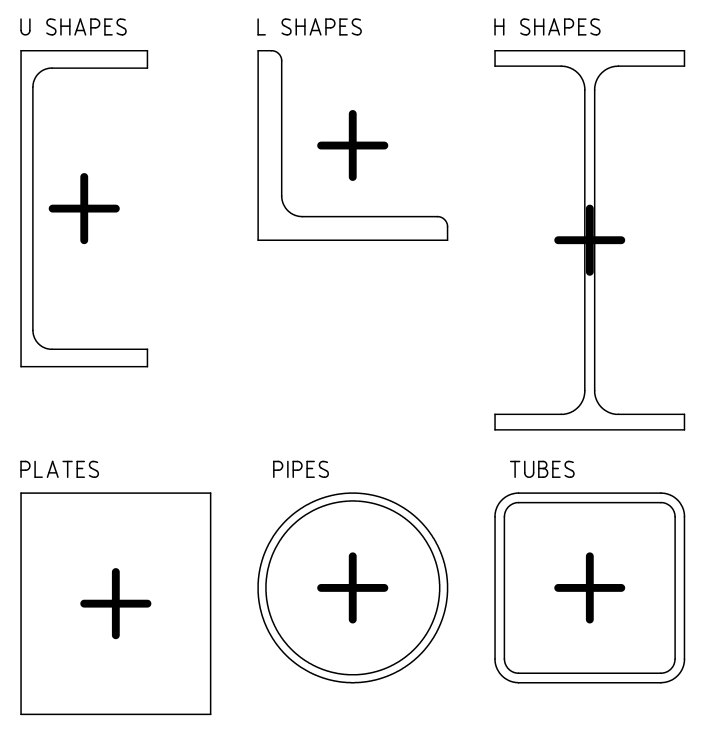 Weldings are assumed to be made with at least same material grade as connected elements. A welded plate will check its weldings assuming his own material grade. If you really need custom materials for weldings, just contact us to suggest that feature. If a moment is acting, it is assumed a plain stress distribution all over the bolt group. Then, each bolt i has a distance di to the centroid, and an area Ai. The bolt group inertia is I = Σ (Ai * di2). Forces in each bolt will be Fi = M*di*Ai/I since tensions are σi = M*di/I. This is done for each moment, having Ft,Ed,M2 due to M2, Ft,Ed,M3 due to M3, and Ft,Ed,P due to P. The linear sum of this three is the value to check against Ft,Rd. When a snug-tight bolt group is set up, the tension force Ft,Ed of a bolt is solved assuming that both, bolts and plates, are loaded by moments. Bolts working in tension and plates in compression. Each bolt i has a distance di to the neutral line, and an area Ai. 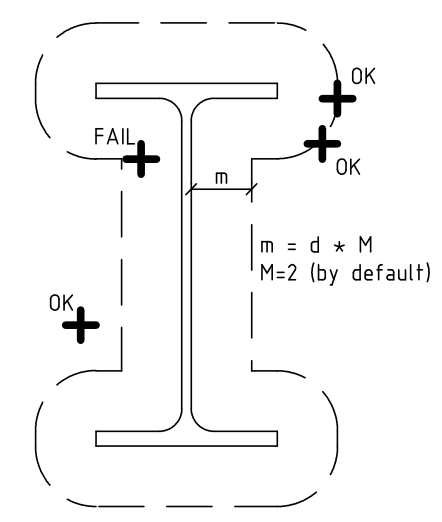 A virtual tension plate is created with a reduced width d = m * A / p, being m the number of columns, A the section area of the bolt, and p the distance between rows in the most loaded bolts. The heigh of the compression zone will be c1 = (b-(d*b)1/2)/(b-d)*h. You obtain this from a simple statements: c1 + c = H and c1 / c = (d/b)1/2. Having c1, the inertia of the connection is I = d * c3 / 3 + b * c13 / 3, and forces in each bolt will be Fi = M*c*Ai/I. As in a preloaded bolt group, this is done for each direction of moment. The linear sum of the values is the resultant Ft,Ed to check against Ft,Rd. The shear force Fv,Ed of a bolt is solved in the same way in both cases (snug-tight and preloaded). The approach is the same as with moments in preloaded bolt groups. Each bolt i has a distance di to the centroid, and an area Ai. The bolt group inertia is I = Σ (Ai * di2). Forces in each bolt will be Fv,i = M*di*Ai/I since tensions are σi = M*di/I. This value plus the two shear components is Fv,Ed. Depending on the joint type, either all bolts are checked or only the worst one. Bolted plates will be checked according to the Plates Section. When a profile is welded to a frontplate, it is located center-to-center unless a explicit eccentricity is given. The insertion point of a plate is at its center of gravity. The insertion point of a profile is sometimes located in a more usefull place as shown in the drawing. Rotation and 2-axis movement can be provided. If both are provided, the section is first rotated and then traslated. When a clash check is needed between profiles/plates and bolts, a reference polygon is created to check if the bolt is inside (fail) or outside (pass). The typical offset is m = 2 * diameter. Then, each bolt axis must be outside the reference polygon. For example, if you have a 100 mm pipe, and 20 mm diameter bolts, a 140 mm diameter shape will be created. If you have a H shape, you will have a contour as shown in the drawing. If you have a section with corners, an arch is created. This is not the default behaviour of drawing tools (like AutoCad, Revit, etc), but it is the right approach to get a usefull clash check. The folowing picture shows a H shape profile with its boundary. 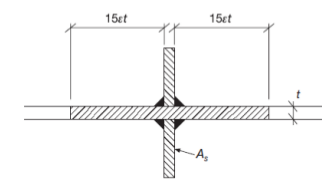 Hole bearing due to a snug-tight bolt with shear loads. Happens in SLS sliding preloaded joints too. Plate block tearing. A piece of plate can be ripped by a group of bolts. 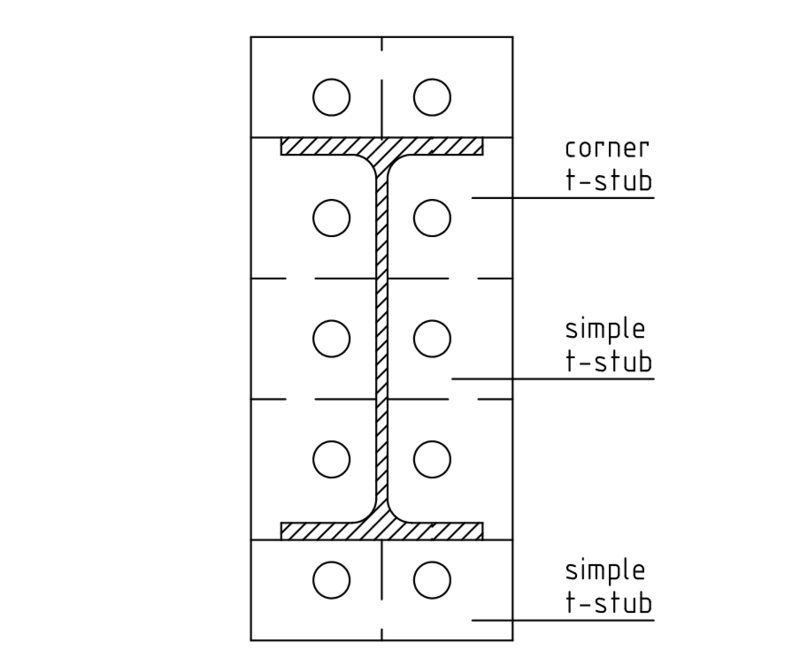 When solving the T-Stub, it is divided into single plate elements rounding each bolt. Each of them is then solved as a Simple T-Stub (having only 1 stiffened side) or a Corner T-Stub (having 2 stiffened sides). Each simple element is solved according the choosen code. Corner rounding and weldings are ommited staying in the security side. The m decrement may be added in the future for more accurate results.